BIG PHARMA/BIOTECH MERGERS: CONSOLIDATING THE SYNTHETIC REALITY AGENDA | "Global Possibilities"
Big Pharma-Big Agra mergers have accelerated recently, with Syngenta being bought by ChemChina (China National Chemical Corporation), Dow Chemical merging with DuPont, and Monsanto agreeing to be acquired by Bayer on Sept. 14th 2016 for US$66 billion. Bayer and Monsanto have signed off on the deal, now US and EU regulators will examine the details. If the deal is approved, this new corporate behemoth will be the largest agribusiness on Earth, selling 29% of the world’s seeds and 24% of the world’s pesticides. This would constitute a massive consolidation of power into the hands of a few, a power which would determine who gets seeds to grow food to eat, and who doesn’t. 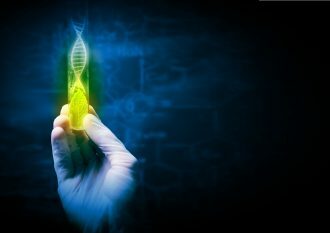 Big Pharma and Big Biotech are in the same kind of industries – using synthetic, artificial and chemical techniques to “hack” life and duplicate products which are of inferior quality to the original – and more harmful. Big Pharma-Big Agra mergers are therefore to be expected, although that doesn’t make them any less dangerous. The centralization of chemical production is indicative of the greater New World Order plan of centralization of power – as well as the synthetic reality agenda which underlines all its machinations. Monsanto, hailed as the most evil and hated company in the world, hardly needs much of an introduction. In its brief history it has already brought to the world agent orange, DDT pesticide, rBGH (Recombinant Growth Bovine Hormone), the artificial sweetener aspartame, terminator seeds, GMOs and glyphosate (the main ingredient of its infamous RoundUp). 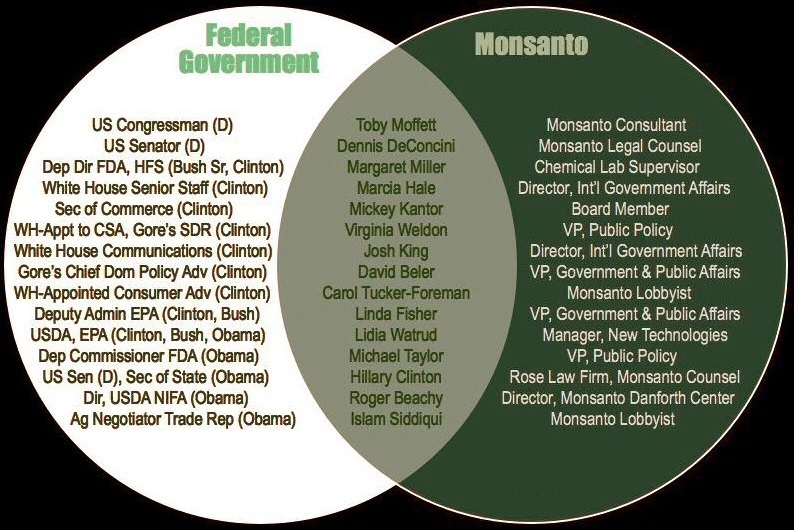 Aided by decision-makers frequently moving between Government and Monsanto executive positions, the chemicals company has such power over the US government that it gets it to start trade wars with non-GMO nations. The giant multinationals of the corporatocracy buy up a massive share of the food production industry. Then, through genetic engineering and mass spraying of toxic pesticides, they produce poisoned food (either pesticide-laden conventional crops or GMOs) which weaken the body in one way or another when ingested at the dinner table. You either get food devoid of essential nutrients, or GM food, which Laibow calls “phude” because it is not real food but rather fake engineered food. Of course, the end result of eating too much of this stuff is chronic inflammation and disease, and then the same corporate conglomerate, through its Big Pharma arm, is happy to step in and give you “medicine” (which doesn’t really heal you) that you wouldn’t have needed in the first place had you just eaten natural, unadulterated food! Interestingly, Laibow has also suggested that autism is being deliberately engineered (via vaccines and other environmental toxins) to create delta drone personalities (as referred to in Aldous Huxley’s Brave New World) to form a docile, obedient workforce. The rate of autism is rising all the time, and now a shocking 1 in every 68 US children is autistic according to the CDC. Makia Freeman is the editor of The Freedom Articles and senior researcher at Tools For Freedom, writing on many aspects of truth and freedom, from exposing aspects of the global conspiracy to suggesting solutions for how humanity can create a new system of peace and abundance. An avid promoter of freedom, truth and health, his mission is to expose the truth, raise awareness about the conspiracy to enslave mankind and to help create a critical mass of people to stand up against it – and thus restore peace and freedom to the world. Want to keep informed with news and analysis on the New World Order, Natural Health, Sovereignty and more? Visit Tools For Freedom, follow Tools For Freedom on Facebook, or sign up for ‘The Freedom Articles’ blog updates. Herd Immunity vs. Viral Shedding: Who’s Infecting Whom?